NEW MEDIUM BRITISH ARMY MTP Camouflage Goretex Fleece Lined Hat - COLD WEATHER . Condition is New. 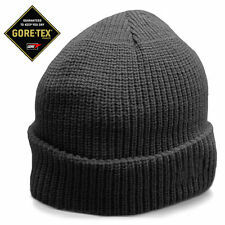 This top quality Gore-Tex lined waterproof Watch Cap is excellent for use by police or security during the winter months. Made of wool, fully lined with a layer of Gore-Tex. 100% Waterproof. Hat is used ( one tour of the Falklands). Size is small up to 56cm. DPM GORETEX HAT - USED GRADE 1. GORETEX WATERPROOF (MVP ). DPM CAMOUFLAGE. BRITISH ARMY ISSUE. USED GOOD CONDITION. SIZE LARGE. British Army Flaklands Goretex Cold Weather Hat ~ British Army Issue DPM~ New. MTP GORETEX HAT - USED GRADE 1. GORETEX WATERPROOF (MVP ). MTP CAMOUFLAGE. BRITISH ARMY ISSUE. USED GOOD CONDITION. SIZE LARGE.